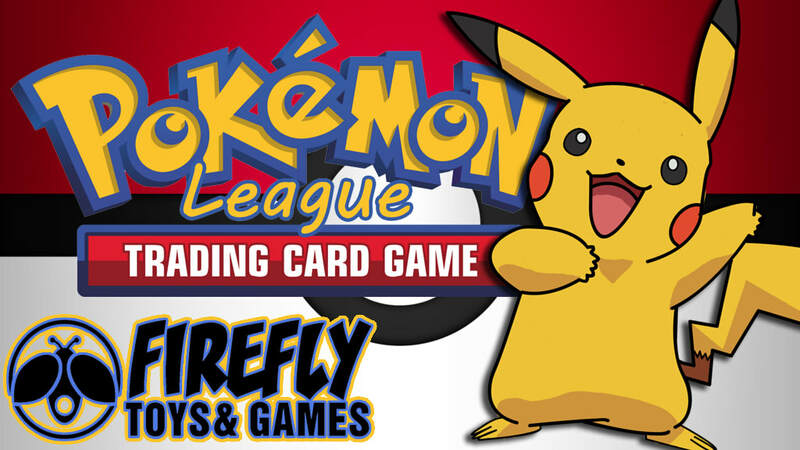 Firefly Toys & Games is the home of the Central Carolina Pokemon League! The Central Carolina Pokemon League exists to give local Pokemon Players a safe, comfortable place to play and trade with other Pokemon enthusiasts! We meet every Saturday from 1-3 for Pokemon League Casual Play. All ages are welcome and encouraged to join! League play is a casual atmosphere where good sportsmanship is encouraged, and we award players with promotional cards and badges based on their participation. You will always find someone to battle during Pokemon League! Pokemon League is a great environment for new players as well as veterans to the game! Come out, sign up, and have some fun! We also host other special Pokemon events, as seen below. We host prerelease events for upcoming TCG sets. During a prerelease, participants open packs of upcoming sets, build decks from those packs, and battle it out in a fun environment. The next prerelease will be in April! Join us on Saturdays from 1pm-3pm for casual play! Starting at 3pm, we have weekly Tournaments! Tournament fee is $5, and all participants get a booster pack for playing. Prize support is based on attendance. Pokemon League is a great environment for new players as well as veterans to the game! Come out, sign up, and have some fun! In the Pokémon TCG City Championship tournaments, players in each of the three recognized age divisions can work toward earning Championship Points, increasing their chance of earning awards or even an invitation to the World Championships!